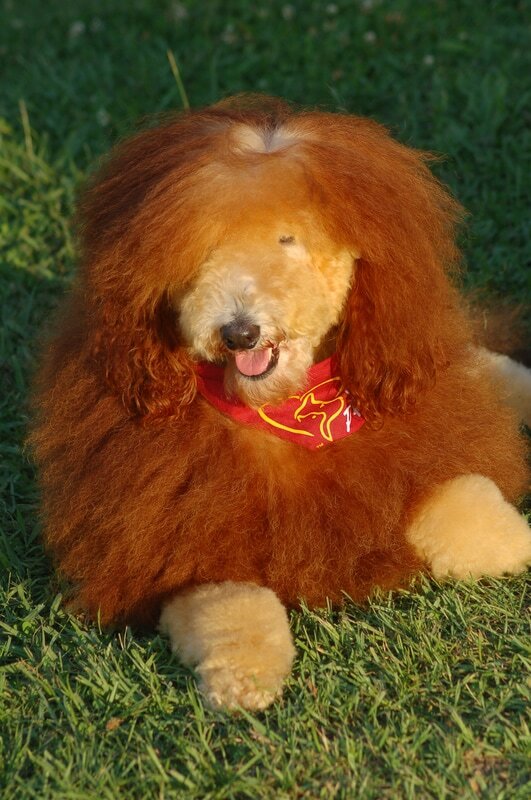 QB is actually a WHITE Standard Poodle, a retired show dog who currently is enjoying impersonating a lion. 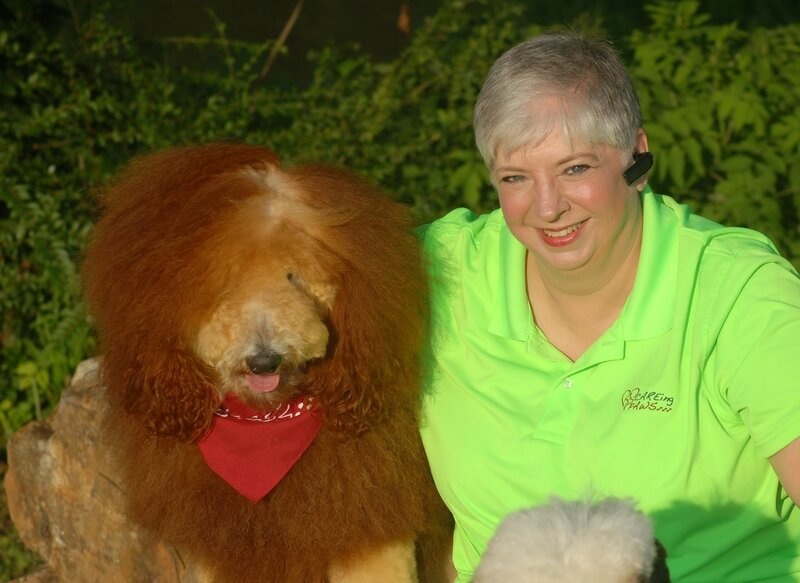 After retiring from dog shows, QB did some runway work and modeling as well as taking part in several winning competitive grooming competitions. 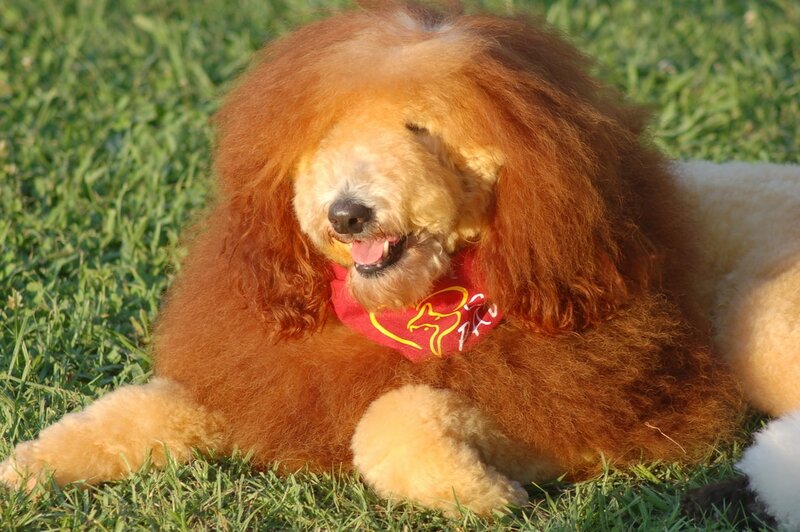 Her most recent grooming competition was in the Creative Grooming division. It was this creative grooming where QB was transformed into a lion. She certainly turns heads wherever she goes, and is the cause of many double takes when people look at her. QB is registered as a therapy dog and a R.E.A.D. dog (reading education assistance dog). During visits to hospitals, QB not only brings smiles to patients and hospital visitors, she also cheers up any doctors and nurses she encounters. Working at the airport, she surprises many travelers by her appearance, but she never fails to deliver smiles and relieve stress with her lion-like look.